It was firmly made and the pressure resistance was satisfactory and satisfactory goods. This review is about item#8377442. 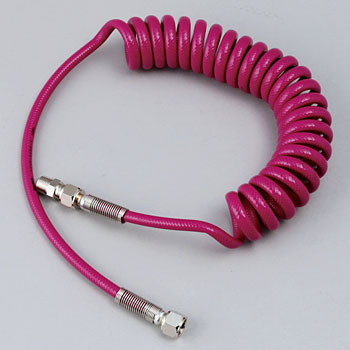 Purchase because the coil hose you have used so far will be broken Hose seems to be strong, I think that it will last long because there is reinforcement of the connection part. Because the coil is a bit hard, it is stronger than other things to extend and use, we recommend a longer thing. This review is about item#8377451.